As of Thursday, the United States is charging 25-percent import duties on an additional $16 billion in Chinese products, bringing the total to over 1,000 items valued at about $50 billion in trade a year. China has responded dollar-for-dollar on hundreds of US products, putting the total value of affected goods at $100 billion, one-seventh of total annual US-China trade. The Trump administration says its aggressive stance is to pressure Beijing to change policies that allow the theft of US technology and undercut American producers. China has accused the United States of starting the "largest trade war in economic history". Computers, electronics and machinery are among the hardest-hit, including $1.1 billion in imports of computer processors, and the same amount of electrical machines. The next biggest victims are $700 million in integrated circuits, $500 million in solar cells, and $400 million in computer memory. Also on the US hit list are milking machines for dairy cows, incubators for baby chicks, flight data recorders, x-ray tubes, bulldozers and arc lamps as well as motorcycles and mopeds. While the top five targeted Chinese products total about $9 billion, there are dozens of products that have seen no imports -- or in very small amounts -- over the past two years. Ironically, the goods the United States has targeted are mostly intermediate products manufactured in China by multinational companies imported by US-based manufacturers, and miss Chinese firms, according to analysts. 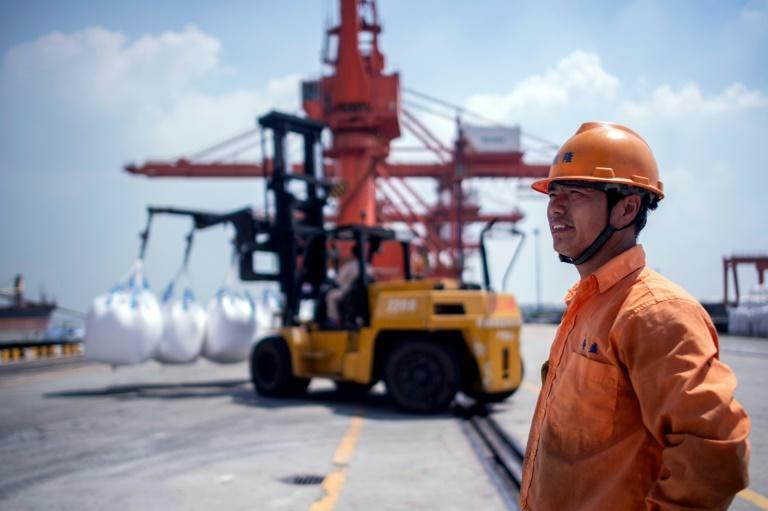 The Peterson Institute for International Economics says nearly all of the US tariffs imposed on China to date are on intermediate goods and capital equipment needed by US industry. China so far has retaliated in kind, hitting American agricultural goods and autos in July, along with new taxes on more than 300 US products Thursday. Beijing's latest volley is aimed at 333 US exports like hybrid electric and off-road vehicles, coal, dump trucks, asphalt, MRI machines and motorcycles, among other items. Harley-Davidson will have to bump up the Chinese price of its iconic motorbikes at least 20 percent, a store representative in Beijing said. That adds to the American beef, pork, many types of fish, and dozens of fruits and nuts that were taxed in July. The most painful perhaps is the tariff on US soybeans, which chokes off a key export market for American farmers, who shipped $14 billion of the beans to China last year. The $50 billion in goods now subject to tariffs is only the first round. The office of the US Trade Representative is looking into 25-percent duties on another $200 billion in goods, with hearings underway this week. Those could take effect as soon as next month. And as China has vowed to retaliate further, Trump has threatened to target all $500 billion in goods the US imports from the Asian giant.